Did you know that some toilets can retail for nearly $3,000? That seems like a hefty price, but expensive toilets also come along with some specific advantages. If you have some physical limitations, want to get off the grid effectively, or just want the best example of form and function with today’s toilets, these are the very best of the best right now. Just because a toilet is expensive doesn’t mean that it is good. Why pay $3,000 for a toilet that doesn’t work as well as a $150 model? This chart will help you quickly compare makes and models so you can find the toilet that will work best for your home. What Makes Expensive Toilets So Good? The average household isn’t necessarily going to want expensive toilets installed, but there are some specific reasons why it might be done. Those who are suffering from severe arthritic conditions can benefit from the automatic features, including seat lifting and flushing, to maintain a level of independence. Off the grid toilets can create compost with the waste that is pushed through the toilet. You can even have nightlights installed in toilets today to help see without having to break up your Circadian rhythm when you’ve got a bathroom emergency in the middle of the night! What Kind of Benefits Do Expensive Toilets Have? In some ways, an expensive toilet is the same as any standard toilet because it ultimately does the same job: dispose of your waste. Expensive toilets do have the benefit, however, of being a fully automatic system that can give you a virtually hands-free toileting experience. For those with physical limitations, these toilets also have the ability to make transfers a lot easier. Expensive toilets can also help create a more sanitary environment in bathrooms that aren’t connected to electricity. Designed with storage tanks or composting bins that can be stirred automatically, you can accommodate up to 7 people in a cabin on a weekend with the best models available today. Venting kits should be included with these toilets, however, so you can make sure to remove odors from the environment. Expensive toilets can also be a status symbol. Whether you want an artistic toilet that has an English trellis painted on it or want a compact toilet that will intuitively work to meet your needs, there is a great toilet with advanced technology waiting to be installed in your home today! Do Expensive Toilets Have Any Problems? Even expensive toilets can have problems! Most of the complaints that people have today about the modern toilet is the water conservation systems that are required in all designs. It’s a matter of simple physics – if you don’t have enough water or pressure, then you’ll need to flush more than once to get waste down the drain. Although expensive toilets have waste breaking systems installed, these additional parts can fail just like anything else and that means sometimes hefty repair bills. How Do You Find the Best Expensive Toilets? 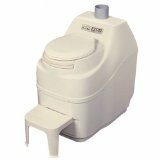 Your journey toward the best toilet you’ve ever owned begins with our comprehensive reviews. Based on facts instead of opinions, you’ll be able to see all of the features at a glance that sets each toilet apart. From there, you can choose the toilet that best meets all of your needs so that you can have a rewarding experience every time you enter your bathroom. The best expensive toilets will also give you a lot of value for the investment that you’re making. It isn’t like buying a Rolex where you show it off as a status symbol to everyone. You’re going to be the one using the toilet the most, which means you need something that works for you. A toilet can look pretty, but it must also be functional! That means you’ll need to look for some of the same features that all toilets must have today in order for them to function properly. Look for good water velocity during the flush, a large trapway that’s been glazed, and easy maintenance options that will help you maintain a sanitary environment. How Do You Install Expensive Toilets? Expensive toilets can be a bit tricky to install, especially if you’re getting one of the models that is designed to be off the grid. Venting these toilets is the most important aspect of this process. You’ll need at least 5 feet of venting tube in order to properly eliminate the odors from your confined bathroom space. For off the grid toilets, maintaining the toilet is just as important as installing it as well. You can save some cash by purchasing composting models that you crank by hand, but you must remember to do the cranking routinely so that the odors don’t build up within the unit. You’ll also want to be careful about accessing the composting unit on a warm day. Pressure builds up in there and when you release the seal, you’ll end up with a beautiful brown spray that is headed right toward your face! For automatic models, you may need to have access to a GFCI outlet in order for them to work properly. Some operate on battery power, but generally you’ll have less than 4 feet of cord in order to provide the toilet with power. If you’re off the grid, you can power these toilets with a solar generator so you can still get the features you may need. What Are the Prices of Today’s Expensive Toilets? 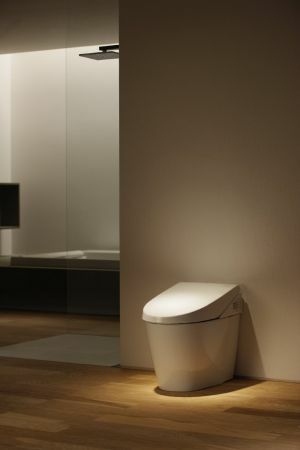 Expensive toilets are generally defined as a fixture that is priced above $900. You’ll find that some toilets with the most automatic features can have a price on Amazon right now that’s above $3,000. In return, you’ll be able to have a toilet that will meet all of the needs that you have at the moment. From automatic composting, seat lifting, or auto flushing, there is an expensive toilet that you could use right now to make your life a little easier. What Do Our Reviews Have To Say About Expensive Toilets? As with any composting toilet, this isn’t going to be the primary solution for a modern home that is looking to upgrade from a flush to a composting toilet. This is primarily for a home that needs an outdoor toilet or has a place to run the venting to the outdoors so you don’t get odor feedback. If you can manage the venting, then you’ll enjoy this toilet. It includes a variable diameter bio-drum as well so that processing compost is simple and easy. This toilet will definitely give you an advantage because the storage of the waste is easier to maintain and the composting process is a lot faster. There’s no getting around how durable this composting toilet really happens to be. It will stand up to the tests of time, resist stains, and is flexible enough to be used virutally anywhere. From the boat to the cabin out in the woods, you won’t be dealing with the terrible odors that other systems with holding tanks sometimes offer. The primary feature that we really enjoyed with this particular toilet is that it offers a very easy to use cranking handle to help stir the compost. Instead of having to rely on a 12v battery or a solar power source, you can crank when needed and prevent many of the terrible odors that can be produced when compost isn’t properly shifted. Although many of the features of this toilet could be considered an advantage when compared to other makes and models, the unique seat design of the TOTO Neorest 500 is definitely the best one of them all. It’s specifically designed to help reduce injuries and reduce the amount of sounds that come from the seat thanks to the soft closing technology that has been included. For added convenience, this toilet even includes a remote control! The lid opens automatically for you, closes automatically when you’re done, and even flushes automatically when the sensor is activated. Combined with the integrated washlet that features both rear and front warm water washing and an automatic air dryer with deodorizer and you’ll have an amazing bathroom fixture for your home! You’ll only use 1.6 gallons per flush when this toilet is properly installed in your bathroom, yet you’ll get a strong enough performance that you’ll feel like you’ve got double the power! That’s because of the Ingenium flushing system, which features an automatic flow-control fill valve that gives the toilet a consistent water flow at a variety of internal water pressures so that annoying splashing doesn’t come all over you. You’ll find that the touch pad on the remote can be illuminated so you don’t have to blind yourself with the bathroom lights in the middle of the night. It also has the ability to remember the preferences of two users and can be reprogrammed should the need arise. In return, you’re receiving a toilet that has an elongated bowl and low profile design that an be a primary toilet or a secondary toilet for your half bathroom. It also offers users an automatic air deodorizer that works with the warm air dryer to make sure odors don’t become bothersome if your bathroom is in a confined space. Expensive toilets might not be for everyone, but they can provide an excellent experience when installed in any bathroom. Pick the best toilet today using our comprehensive reviews and you’ll be able to get an amazing return on your investment!